Moderner Couchsurfer. Das neue Acer Iconia Tab A200 bietet aktuelle Technik für das heimische Wohnzimmer. Neben einem 10,1-Zoll-Bildschirm sind 16 GByte Speicherkapazität, ein WLAN-Modul sowie Google Android 4.0.3 ICS an Bord. Das fehlende UMTS-Modul ist bei einem Preis von 349 Euro kein K.O.-Kriterium, wie unser Testbericht zeigt. If you’re buying a tablet because you’re looking for nifty software and want to keep your costs down, you’re still better off with iPad 2. But the Android platform has its advantages, also, and the Transformer Pad TF300 remains the best value choice today—especially if you opt for the 32GB version at $400. Not only will you get a lot of bang for your buck at that price, but the Transformer Pad’s Tegra 3-optimized graphics are capable of some impressive tricks over the iPad 2, if the handful of games optimized for the platform appeal to you. 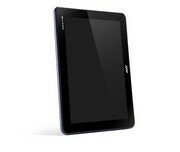 Expectations should be tempered with the Acer Iconia Tab A200. It's a beast of a tablet, physically, and was a bit uncomfortable to hold for long periods due to its size and weight. However, with that girth comes useful features, like a full-sized USB 2.0 port. 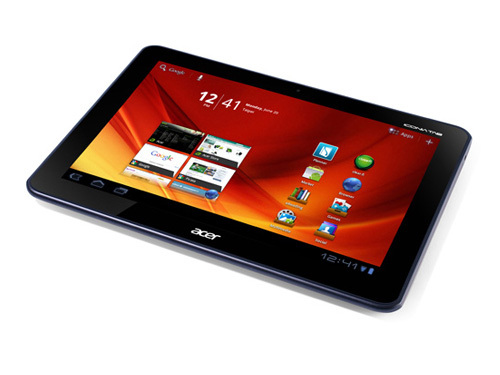 It is very much the bigger sibling to the Acer Iconia Tab A100 ($329.99, 4 stars), which was one of the first tablets to get Android 3.2 Honeycomb. The smaller A100 was a clunker when it came to looks, but it performed admirably when compared with the competition at the time. A lot has changed since we reviewed the A100, though. While it's still a decent tablet, it would likely score lower by today's standards. The Acer Iconia Tab A200 is a budget 10.1in Android 4.0 Ice Cream Sandwich tablet that will go on sale for £279, significantly undercutting top tabs like the Samsung Galaxy Tab 10.1. Although it side-steps the most serious issues that cut-price tablets often suffer from, areas where the money has been saved are apparent. Without any stand-out features, we're not yet convinced it's necessarily a better buy than a first-wave Android Honeycomb device. You might ask why you'd do such a thing with a tablet, but that's the beauty of Android. Unlike iOS, given the right connections you can do what you want with it. 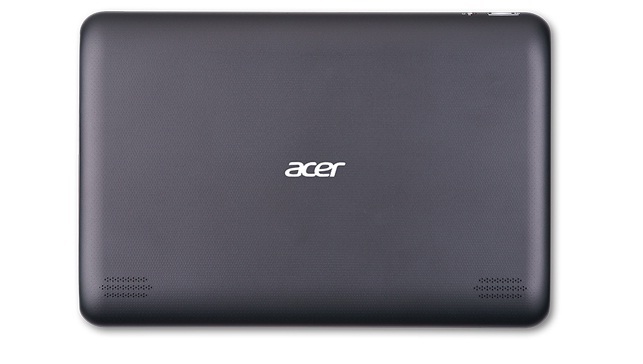 So not a world-beater by any means, but the Acer A200 is yours for under £300, and you do get a lot for your money. 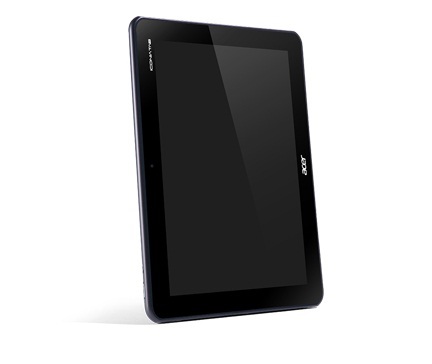 The Acer Iconia Tab A200 isn't designed to be cutting edge. It's a tablet that hits the sweet spot in terms of price and features. For $349, consumers get solid performance, a full USB 2.0 port and long battery life. We also like the Acer Ring interface and the useful lock-screen shortcuts. For $150 less than the iPad 2 and the highest-end Android slates, you're giving up a rear-facing camera and a thinner and lighter chassis, something you can get with the 16GB Samsung Galaxy Tab 10.1 ($431). Others may prefer the original ASUS Eee Pad Transformer ($399), which sports an IPS display with better viewing angles and plugs into an optional keyboard dock. Overall, though, the A200 delivers the best bang for your buck among 10-inch Android tablets.